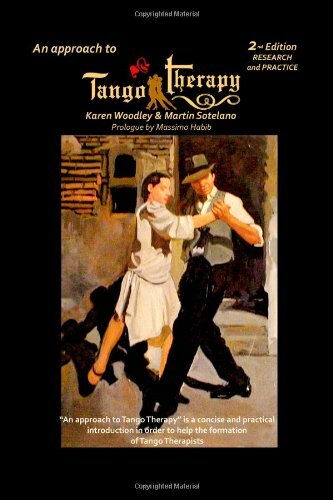 The course is for people who are interested in the application of tango in palliative care. There are two types of courses, the one that is focused in physical disorders such as Parkinson’s, Alzheimer’s, elderly, heart disease prevention; and other for people who suffer social phobias and related disorders. At this moment, we are looking to open the courses focused on physical disorders. As you know, we work with Parkinson’s UK, as they are very interested to train people who can deliver Tango Therapy sessions all over UK. As a part of the training, our students will organize sessions (under supervision) for people with Parkinson’s. We are working toward recognition by the Institute of Alternative Medicine in the UK and the International Association of Tango Therapy already recognises us. We are working on a Part-Time course with practical and theoretical classes. So far, people all over the country and the EU have already contacted us in order to participate in these courses for this reason we are thinking of delivering them during weekends, probably one weekend a month, and the theoretical classes will be delivered in an “on-line” mode. This allows more people to have the chance to participate in them because they need to come to the practical class only once a month, which will be delivered on Saturday and Sunday, no less than 5 hours each day. We already are registered as a Leaning Provider (10032155).